New Mac's Convenience coupon, this time it's a BOGO! 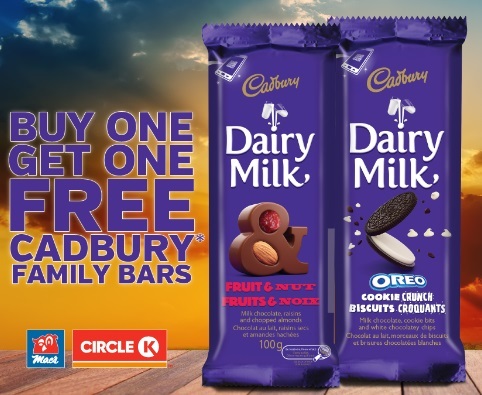 Get a Free Cadbury Family bar when you buy 1 with the coupon below. Offer is valid August 29-September 4, 2016 at participating Mac's locations in Ontario. One coupon per MyMacs member.